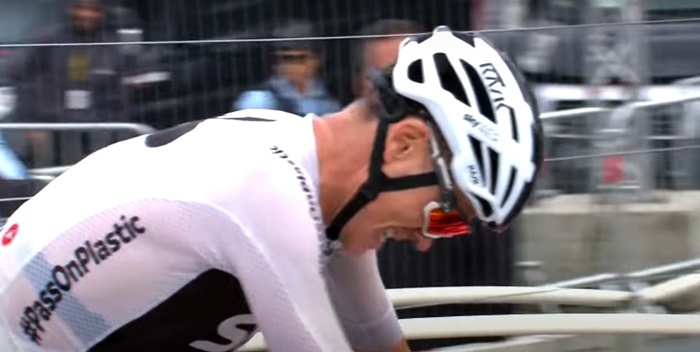 Geraint Thomas didn’t really concede any time, to anyone, at any point. 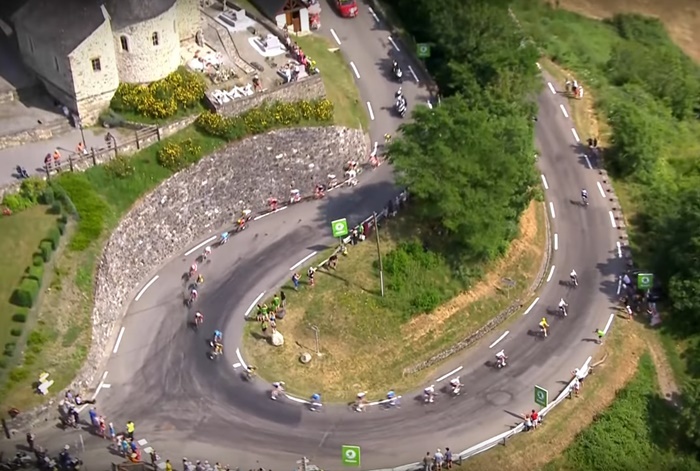 This is a good and effective way of winning a Tour de France. Stage 16 saw the race enter the Pyrenees in much the same way that it entered the Alps – with a stage win for Julian Alaphilippe. The Frenchman buzzed from small group to small group when a large break eventually splintered and come the final summit, he was second on the road on his own, just a few hundred metres behind Adam Yates with only the ensuing descent to come. Racing downhill is an absolutely dogshit thing to do at the best of times, but it was worse still for Yates because Alaphilippe descends like a nutcase. Just put yourself in that position. You’re going downhill as fast as you dare and the guy behind is gaining on you. There’s really only one option available to you at that point and that’s to descend slightly faster than you dare. “We were right behind Alaphilippe in the team car and some of the positions he got in down that descent, I’ve never seen before in my life,” said Yates’s sporting director, Matt White, afterwards. Yates’s crash was not the worst of the day. Philippe Gilbert got a corner very wrong at very great speed and this happened. After this, the 2012 world champion went one better than Vincenzo Nibali and his piffling 4km with a fractured vertebra on stage 12 – he rode 59km with a broken knee. Take it from me, knees are pretty important in cycling. If you know nothing else about knees and cycling, know this: you want them intact. This is what happened to Phil’s knee as a consequence. As far as the general classification was concerned, nothing much happened, which was excellent news for Geraint Thomas, who was very much keen that nothing continue to happen all the way to Paris. Alaphilippe was up front again for most of the comically short 65km stage 17. He was gathering points in the mountains classification (which quite obviously he was leading). Once these were gathered, he slid back and left it to the overall contenders to fight for the stage victory. The unusual format of the stage was apparently enough to elicit that most elusive of events – a Nairo Quintana attack. The Colombian set off with Dan Martin early on the final climb before swiftly ditching the Irishman to ride alone. No-one chased him because no-one really had any need to chase him. He won the stage and moved up to fifth overall. The next significant development was Romain Bardet getting dropped. He would slip to eighth overall as a consequence. More dramatically still, Chris Froome then did a not-particularly-good job of catching back up again after a brief Primoz Roglic attack. 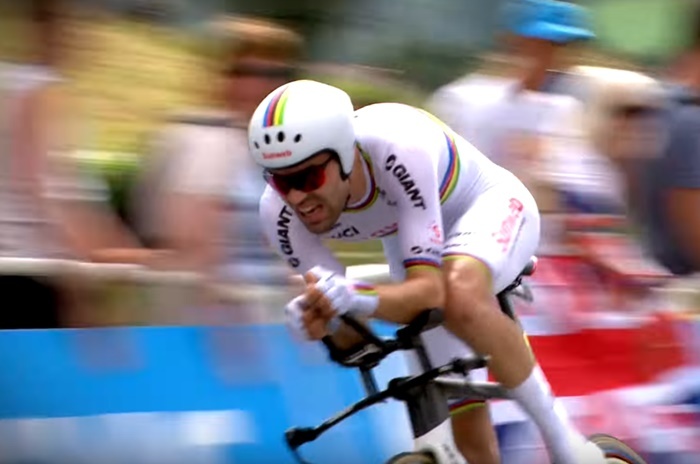 Like a megalodon sniffing blood, Tom Dumoulin detected this faint hint of weakness from the reigning champion and promptly answered the Team Sky leadership question once and for all. When Roglic saw what was happening, he took the hint, and powered himself, Dumoulin and Thomas up most of the rest of the climb. The Welshman did the logical thing and sat behind his two rivals before picking them off at the top for a few third-place bonus seconds (Dan Martin having finished second). In many ways this move summed up Thomas’s race. He has been undroppable on any terrain and has for most of the race been blessed with the calmness and patience borne of already being ahead. The eventual gap from Dumoulin and Roglic to Froome was the 44-second moment when the four-time winner fell out of the running in this year’s race; failed to achieve the increasingly mythical-seeming Giro-Tour double; and, who knows, perhaps even waved goodbye to his Grand Tour-winning days. He isn’t getting any younger and his recent victories haven’t really been built on clear physical superiority in the way they used to be. Stage 18 saw a brief detour onto the plains just north of the Pyrenees. In terms of the general classification, it was wholly irrelevant, which brings us to stage 19 and the final mountains of the race. 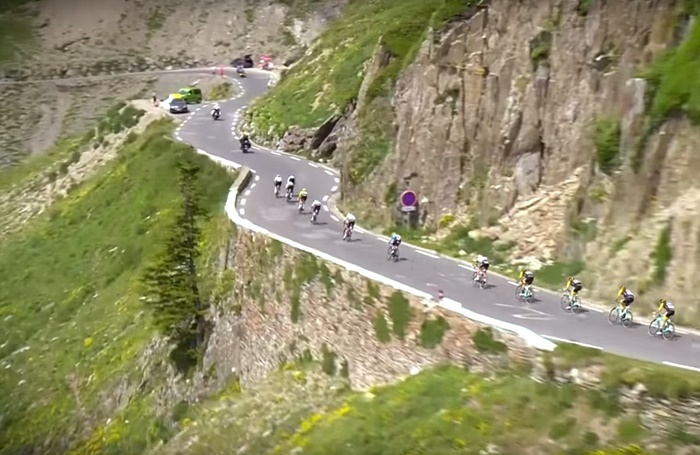 This stage presented a different challenge to the previous Pyrenean mountain stage. At 200km and with the Col du Tourmalet and Col d’Aubisque on a six-climb menu, it was a real test of endurance and that meant that different riders came to the fore. Well, not wholly different. Entirely inevitably, Julian Alaphilippe got into the day’s break and in so doing secured the mountains classification. If anyone has had a more visibly enjoyable Tour de France than him, they’ve not been on camera. Alaphilippe’s been having an absolute whale of a time – which is pretty weird considering what he’s put his body through these last three weeks. Stage 19 saw him set a new record as the only rider to have been first over four hors categorie (beyond categorisation) climbs in the same Tour de France. Halfway through the stage, the middle and lower reaches of the top ten all took it upon themselves to head off up the road. It was a strong group, but by the top of the final climb – the Aubisque – they’d all been hoovered up again. Roglic and team-mate Steven Kruijswijk took it in turns to attack the yellow jersey group and this lifted the pace. Roglic, in particular, was relentless. Whether uphill or downhill, he probably spent the whole of the last half-hour of the race trying to ditch everyone. The descent was horrible to watch. Alaphilippe’s a mad descender, but Roglic was a ski jumper – those guys are entirely devoid of rational downhill fear. Speaking after the stage, Dumoulin gave a different account, saying that Roglic had made the gap after briefly benefiting from the slipstream of a TV motorbike during one of the straights. Didn’t stop him extending that gap to 19 seconds though, did it, Tom? 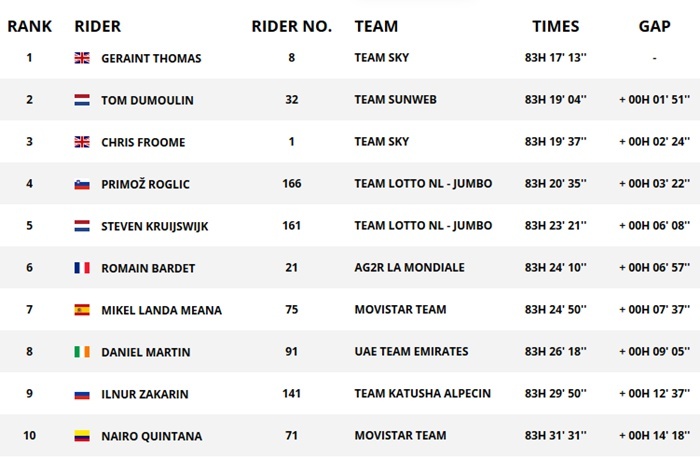 The stage win meant Roglic bumped Froome off the podium and it also moved him right up behind Dumoulin ahead of the time trial, which is probably why the Dutchman was a bit tetchy. It was a bad day for Nairo Quintana too. After soaring up the general classification by winning the previous mountain stage, he bombed back down it at Roglic speed. Geraint Thomas was Geraint Thomas. He sat there, not needing to do anything, and then sprinted for the six second-place bonus seconds at the finish. The threat of an impending time trial can do an awful lot to enliven a mountain stage. It still doesn’t make it exciting in its own right though. Without crashes or punctures, it’s pretty much just the story of time gaps. So this is the story in time gaps. In fact, no. I can’t even be bothered doing that. This is the story of the order in which the main guys finished. It went Dumoulin, Froome and then Thomas, while Roglic finished down in eighth (presumably knackered from the day before). This meant that Froome remounted the podium and Thomas won the Tour de France. Dumoulin was 1m20s behind Thomas at the end of the first week, almost entirely due to a crash. This shaped the approach of both riders, forcing the Dutchman to make the running. There’s a case for saying that had the race played out with those roles reversed, it might have ended in a different result. But it’s not a strong case. Thomas didn’t at any point show the faintest weakness. Who knows how much more he had in him. A quick footnote for Lawson Craddock, who hit a discarded water bottle on stage one, fell and fractured his scapula. He promptly set up a GoFundMe page to raise money for the outdoor velodrome where he got his start. He donated $100 for each stage he finished from that point on and other people chipped in too. Somehow, he finished the race. He was last, obviously, but it looks like he’ll have raised a couple of hundred thousand dollars for his chosen cause. A word too for Adam Hansen, who wasn’t in this race. That’s not newsworthy in isolation, but Hansen did of course ride and complete each of the previous 20 Grand Tours. He did all three – the Giro, the Tour and the Vuelta – year after year after year. I get the impression he’s as relieved as he is proud that this staggering feat is finally over. Meet me back here towards the end of next month for a preview of the Vuelta a Espana. I’ll follow this with recaps of each of the three weeks. The race starts on August 25. The Vuelta is one of my favourite races – if not the favourite. A lot of people get sick of the relentless uphill finishes (there are nine this year) but I rather like the simplicity. Almost every day is about the main guys, so it’s an easy story to follow. Sign up for my email and you’ll get the preview and recaps sent to your inbox the day after they’re published. Giddy as I was at one of my favourite cyclists winning the Tour, Chris Boardman just had to pee on my parade by announcing that this would be his last as the resident itv4 pundit. Imlach & Boardman are without peer (in my humble opinion) at Doing This Sort of Thing and I’m going to miss the double act. Thanks for the recaps Alex – as always, have much enjoyed reading them. Until we meet again in August……. Boardman’s as good a pundit as he was a cyclist. He is however equally good at explaining how cycling can reduce congestion, pollution and the strain on the NHS. I think one day we may look back on him as a very significant figure in shaping our culture and the look and feel of our towns and cities. But surely he could pause all that for three weeks each July. Definitely – it’s very selfish of him to put the health, safety and well-being of the country first. I’m happy to forgive him, however…..depending on who replaces him.